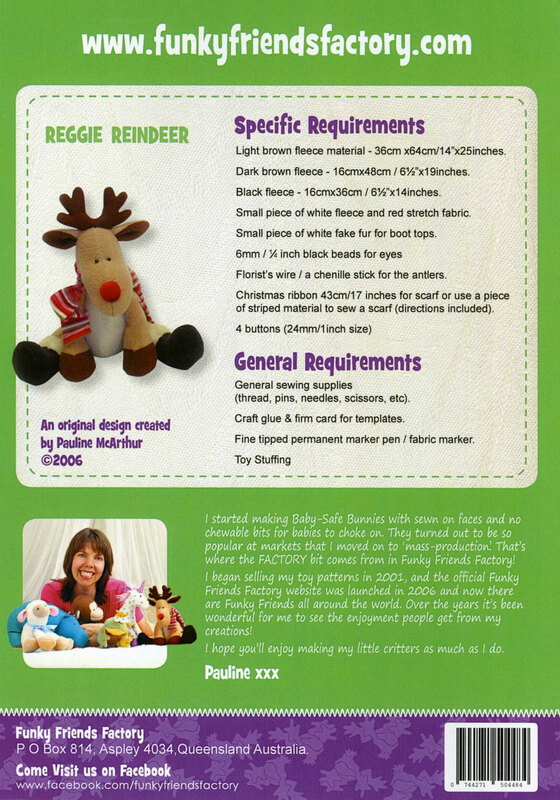 Finished Size for Reggie Reindeer is 14in / 35cm. 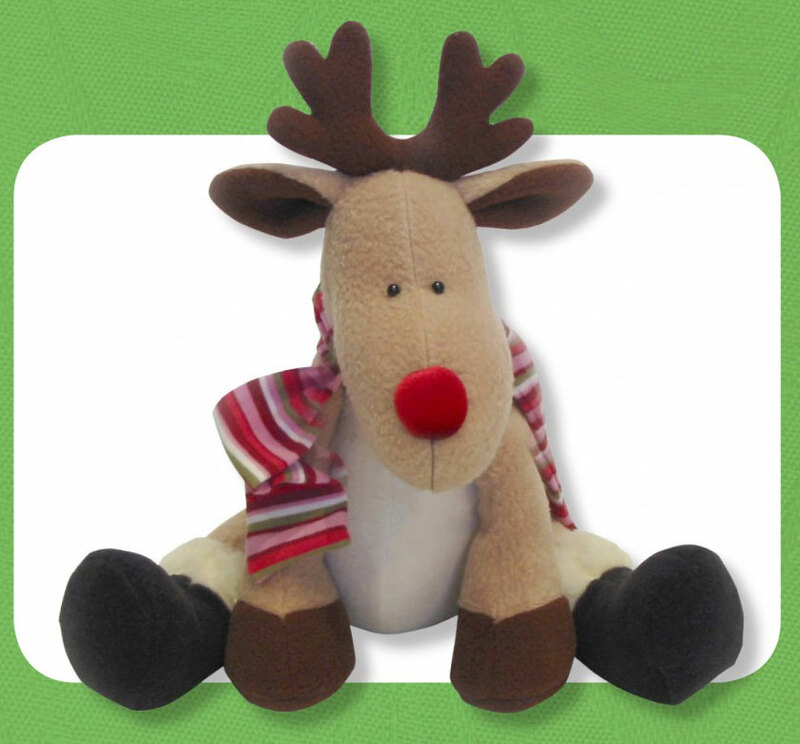 Cute little Reggie reindeer wants to grow up to help Santa, just like his big brother Rudolf, but he's still too little to drive a sleigh. He's mostly made of fleece with a bit of shimmery red stretch velvet for his bright red nose. He can be made with or without the button joints - you decide! Fleece, of any type, or other stretch fabrics (eg. velour, chenille and flannelette) for the body.